A unique replica of the No. 119; one of the two historic locomotives to meet at Promontory Summit in Utah during the Golden Spike ceremony commemorating the completion of the First Transcontinental Railroad on May 10th, 1869. 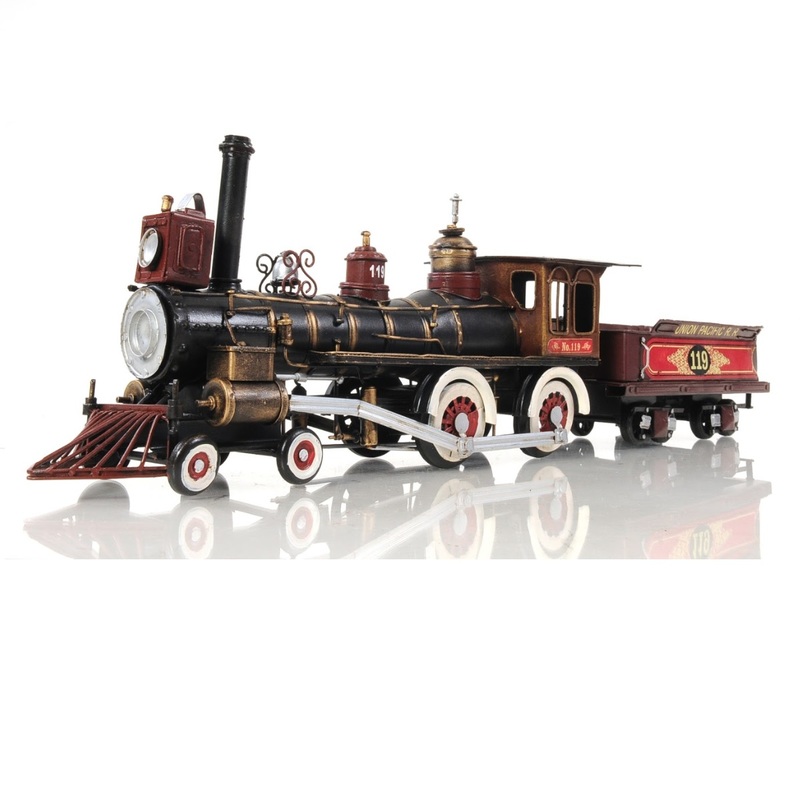 Old Modern Handicrafts' pre-built locomotive is handcrafted in an iron frame and then hand painted in the vintage style with insignia decals. Additional features include rolling metal spoke wheels, smokestack, headlights, and a detachable caboose. Suitable for display in home or office. 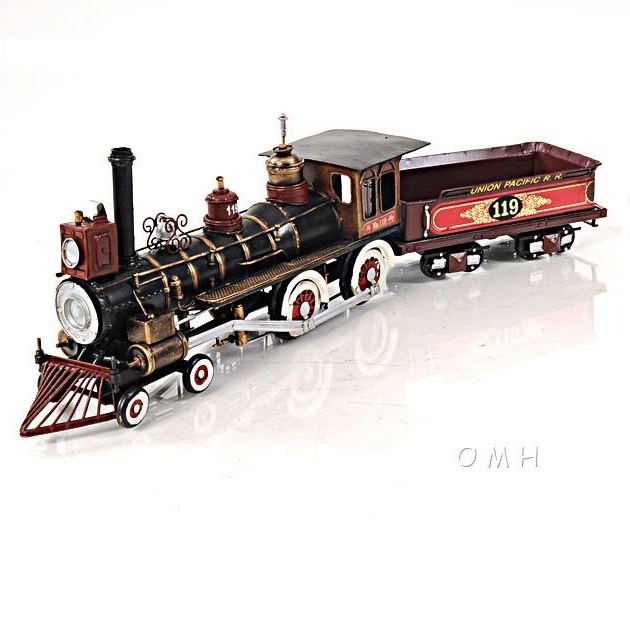 The perfect gift for the rail enthusiast anticipating the 150th anniversary in 2019. Measures approximately Length: 21" Width: 3.75" Height: 6.50".